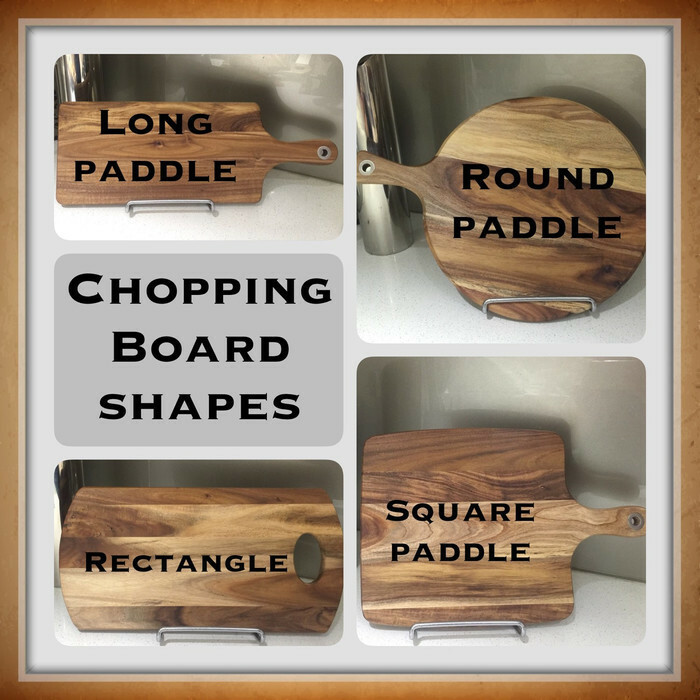 Gorgeous chopping boards made to order, all designs customised for you. Perfect for weddings, engagements, anniversaries, birthdays, housewarming, farewell, business promotions and so much more. 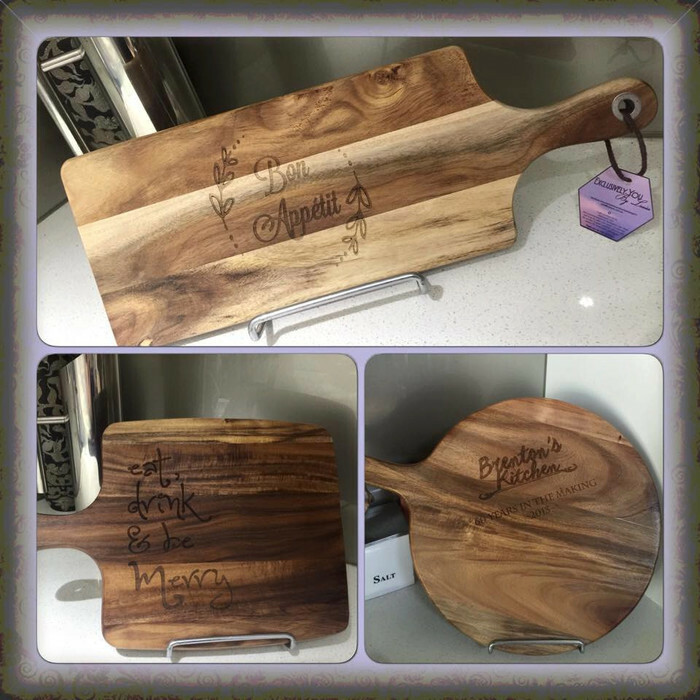 Our chopping boards are made from Acacia Wood of a high quality and etched by us, for you, Exclusively. 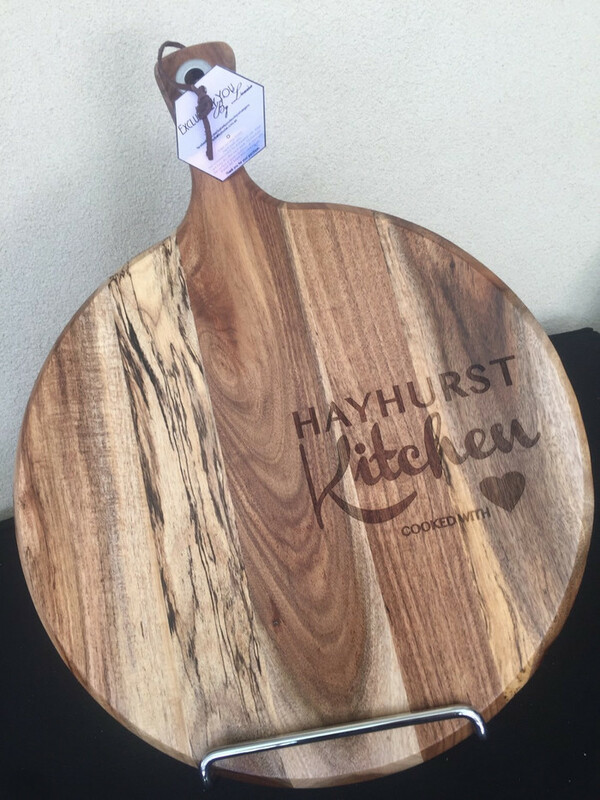 If you have a special request - PLEASE ASK... we love designing new boards. Any special requirements - if discussed earlier. Great discounts available for larger orders. Ships world wide! Just ask for a price.